Millennial foodies are the new “tastemakers”. What Millennials want in food today is what the rest of the world will soon be asking for. This savvy generation loves lots of informal celebrations, intense flavor profiles, ethnic cuisines, more natural foods and lots of snacks. Champagnes like Chandon are courting Millennials as an irreverent celebration alternative to their parents’ brands and are designing bottles to fit their occasions. Restaurants are working hard to cater to millennials as their incomes and spending habits grow. Here are some important facts to understand. They eat out more often. 53% of the group goes out to eat once a week, compared with 43% for the general population. 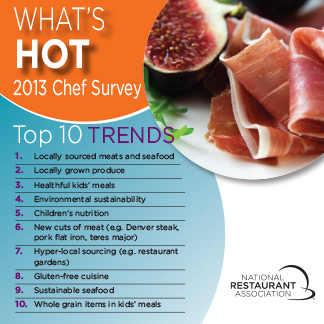 They eat out more often in all categories – quick serve, casual dining and fast casual. While they all eat fast food, millennials don’t want to admit to eating it. They are the least likely to recommend fast food to others. Fast casual is their favorite. Millennials compose 51% of fast casual customers. They want healthy food which means fresh, less processed and with fewer artificial ingredients. They want food that comes from socially responsible companies. Types of companies that they like include those who have principles around fair trade, sustainability and fair wages. Companies that exhibit these qualities include Starbucks and Chipolte. They like to support local restaurants. Again this means higher quality food, social ethics, ethnic foods and flavor profiles. They want convenience which translates to easy online ordering, stellar apps and rewards programs. Starbucks has scored big with their new app revamp for pick-up orders. Sriracha is on everything. 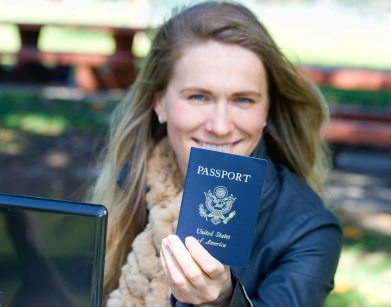 It is stocked in 9% of American households and in 16% of those under 35. They celebrate a lot. According to CEB Iconoculture, Millennials are celebrating more than just the traditional holidays. 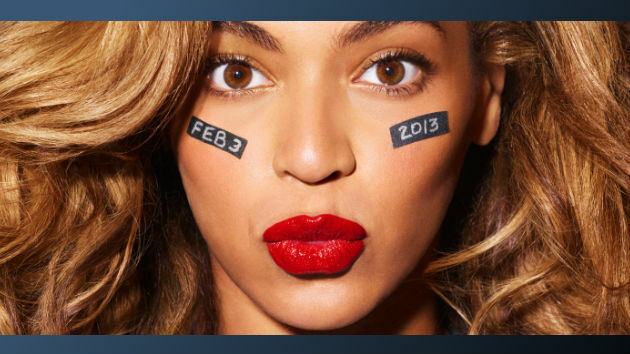 Super Bowl Parties, May the 4th Be With You celebrations (for Star Wars fans), and single girls’ gatherings for Valentine’s Day are just a few ways Millennials are celebrating outside of traditional holidays. The line between snacks and meals is blurring. According to research by Barkley and BCG, Millennials tend to snack far more than older generations. It is very common for Millennials to regularly have snacks in the mid-morning, mid-afternoon and late at night. On the alcohol side of things, Chandon reports that 27 percent of adult millennials now choose beer as their favorite alcoholic drink and a lot of that beer is craft beer. But beer consumption is down from 33 percent in 2012, leaving room for other products including vodkas, wines and sparkling wines. Millennials like craft brands and made-for-me brands. Chandon has targeted Millennials with its “celebrate everyday” strategy, moving sparkling wines from only end of year special occasions to everyday occasions. Since Chandon is technically not Champagne since it is from Napa Valley, the wine has become Americanized. Chandon has been able to reimagine how sparkling wine can be consumed—and by whom. Chandon typically sells for a lower price point as well. But price alone is not enough to lure young adults. They seek an experience. Chandon has given the classic champagne bottle a trendy makeover and creates seasonal designs for its bottles. Last year Chandon put out three limited-edition bottles that are scrawled with the phrases “The Party Starts Here,” “Bring on the Fun,” and “I am the After Party.” Ideally, consumers can pick out the bottle that matches their personality. Their marketing also matches this new look with a heavy dependence on social media using image heavy social platforms like Instagram. Marketing to Women: Is the Lunch Hour Dead? As I was munching on my McDonald’s salad at my desk today, I started wondering about the fate of lunch in America. I certainly don’t seem to break for lunch as often as I used to. In fact, the phrase lunch hour is even misleading. 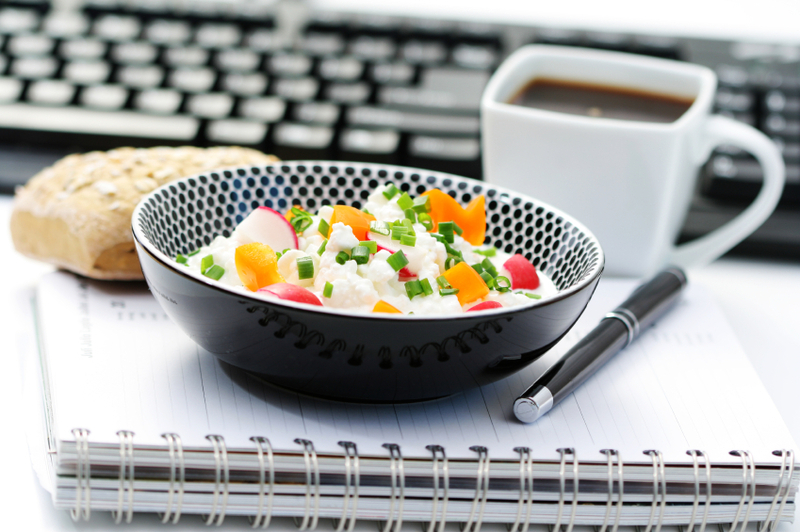 In a recent study , 48% of employees say that the typical lunch break is 30 minutes or less. And in another study by Staples, 19% of employees say they don’t stop for lunch at all. In 2010, Monster found that more than 20 percent of workers say they always eat lunch at their desks. The lunch “break” has turned into a time for errands, online shopping, more work and maybe a quick bite. Here are some of the reasons behind these trends. • The recession spawned a cutback in personal and business spending. And currently the IRS only allows 50% of entertainment expenses. With a focus on productivity, some employees feel pressure to work more and don’t feel they have time for lunch. • Working women have a lot of tasks to accomplish. Any given day may include errands, online shopping, haircuts and a quick bite. Working moms are 13% more likely to have spent $2500+ on internet purchases, 10% more likely to do their banking online and they own almost every mobile device technology that allows them to shop. • Lunch hour shopping trends show 84% of moms shop 15 minutes or more a day at work. And most of that shopping happens between 11 a.m. and 2 p.m. Some 43% of female workers say they did their holiday shopping online while at work, compared to only 35% of male workers. Not surprisingly, 21% of back to school shopping happens online. Woman shoppers use the time as a welcome break from their office routine and would rather shop online than go to a mall. Some categories have benefitted from this trend. Certainly online shopping of all kinds has prospered. Retailers see rising traffic during the 11 a.m. and 2 p.m. period and some are creating two-hour “stop, drop and shop” promotions during that lunch window. Grocery stores have embraced the trend with more “grab and go” lunch foods. According to market researcher NPD Group, grocers have seen their lunchtime purchases of prepared food like sandwiches and salads jump by 28% since 2008. And fast casual restaurants like Panera and Chipotle provide high quality food options with a lower time commitment. There is also a trend to wanting snacks at all times to tide workers over to dinner time. In the world of advertising and marketing, the three martini lunches were legend. Gerald Ford said, “The three-martini lunch is the epitome of American efficiency. Where else can you get an earful, a bellyful and a snootful at the same time?” While some still remember those long lost “Mad Men” three martini lunches fondly, in retrospect, they seem indulgent and luxurious. Time might have been the true luxury. Maybe those lunches were not very productive, but they did provide opportunity for marketers and clients to know each other better. Maybe we have traded the martini for the macchiato, but that coffee with a client might be a great time to really talk, listen to each other and share ideas freely. Cheers! Restaurant Hospitality provided a great checklist to use when running a daily deal (Groupon, Living Social, and the 100 others available in your community). There have been some businesses overwhelmed with daily deals gone bad. The two categories that seem to benefit the most from daily deals are restaurants and beauty treatments/products. Best Advice: Set an objective for what you want the daily deal to accomplish. Do you want incremental business during a down time? Do you want to encourage trial of a new product or a larger purchase? Do you want to encourage frequency? Do you want to appeal to a new target audience. Match your offer to your objective. 1. Payment. Find out from the daily deal provider when you will receive payment. The big players usually take at least 20 days to deliver the first payment. Smaller providers might provide better terms. 2. Targeting. Who or what are you targeting? Dayparts such as lunch business or dinner business? Locals versus tourists? New products or core inventory? 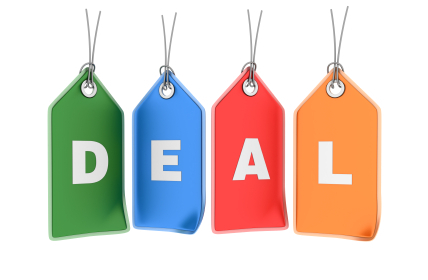 Most daily deals should be to enhance your business and encourage additional sales. Do you have a plan in place to convert users into an additional visit or purchase? 3. Promotion. Daily deal providers can do additional promotion for their offers like television and print advertising. See if your provider will provide extra promotion. And you might want to make sure you broadcast your offers on social media. Daily deals and social media like each other. A recent study by Edison and Arbitron found that daily deal users are more likely to use social networks. The study reports the average daily deal user had about 255 friends on Facebook. 4. Pricing. I really like the example given for restaurants. Look at your average check or transaction. If your objective is to stimulate sales during a down period and the average check is $40, you might run a $15 offer for $30 worth of food and drink. If you are a provider of beauty products, you might offer a new high margin service/product with a low product cost. 5. Service. The last tip is making sure all of your employees are knowledgeable about the offer and provide the customer with personalized service and high quality. Nothing turns off a customer more than a server or sales associate that is indifferent, knows nothing about the offer and seems put off by the redemption offer. 6. Engage New Users. Make sure you track your new business, making sure you get their emails so you can continue to communicate your offers to them. Daily deals may be still by growing but it is among the big players. According to BIA/Kelsey, United States spending on daily deals, instant deals, and flash sales is expected to hit $2 billion in 2012 and continue to grow to more than $4.2 billion in 2015. However, one-third of all daily deal sites have disappeared. Research by Foresee, conducted in November and December 2011, shows that 60% of visitors of the top 40 websites were enrolled in at least one daily deal site. That’s a decrease from the previous spring, when the figure was 65%. And the percentage of subscribers who had purchased a daily deal over the last 90 days was shrinking, from 67% in the spring of 2011, to 63% in the early winter of 2011. Marketing to Women on Smartphones: That’s 50.9% of us! Smartphones have crossed the tipping point. According to Nielsen, a majority (50.4%) of U.S. mobile subscribers owned smartphones, up from 47.8 percent in December 2011. And of course women over index the national stat – 50.9 percent of female mobile subscribers carried smartphones in March 2012, compared to 50.1 percent for men. Shop till we drop our phone. So, is it any surprise that we are using those oh-so-smart mobile devices for shopping? Of course not. Seventy-nine percent of us are using our smartphones for shopping. 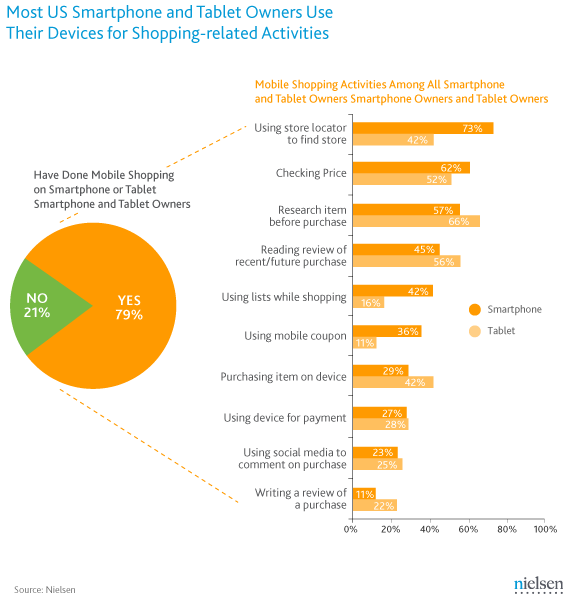 Smartphones are really the mobile shoppers dream for the following: “Locating a store” (73% vs. 42% for tablets ), “using a shopping list while shopping” (42% vs. 16% for tablets) or “redeeming a mobile coupon” (36% vs. 11% for tablet owners). However, tablet owners are much more likely to use their device for online shopping: 42 percent of tablet owners have “used their device to purchase an item,” compared to just 29 percent of smartphone owners. For marketers, it is important to understand how our target is using a mobile device so we can tailor messages and design appropriate engagement opportunities. Pay As You Go Currently we are buying online, but Nielsen points out that soon we will become comfortable with using our smartphones to make payments for items. I can’t wait. ” Just one less thing to worry about,” says Forrest Gump. You are currently browsing the Restaurant category at The Lipstick Economy.